However, for some, it’s habitual, which can lead to serious health problems. Emotional eaters may lack the skills necessary to deal with stress, pain, fear, or loneliness. And to make up for the lack of coping skills, they substitute food to make them feel better. Often, the food they eat is far from healthy and depending on how often they use food to cope with life; it may be damaging to their health. Research has shown that emotional eaters don’t know what healthy eating looks like. Many are caught in habitual eating patterns when life’s problems are just too overwhelming. But what does it mean to eat healthy? Is it simply a matter of choosing better foods or is there more to the story? Healthy eating, like anything, can be achieved by developing good eating habits. Here are five specific habits to help you start eating healthier. Have a read; perhaps you want to adopt some of the habits yourself. People who eat healthy pay attention to the portions they eat; because monitoring how much food you take in is basic to healthy eating. Healthy eaters know the difference between healthy and unhealthy portions. For example, they know that a serving of steak is around three ounces. Healthy eaters also understand that a half cup of cereal really means half a cup. They can approximate healthy portions, and they pay attention to it. Monitoring the size of the portions you eat helps keep your weight within normal limits. 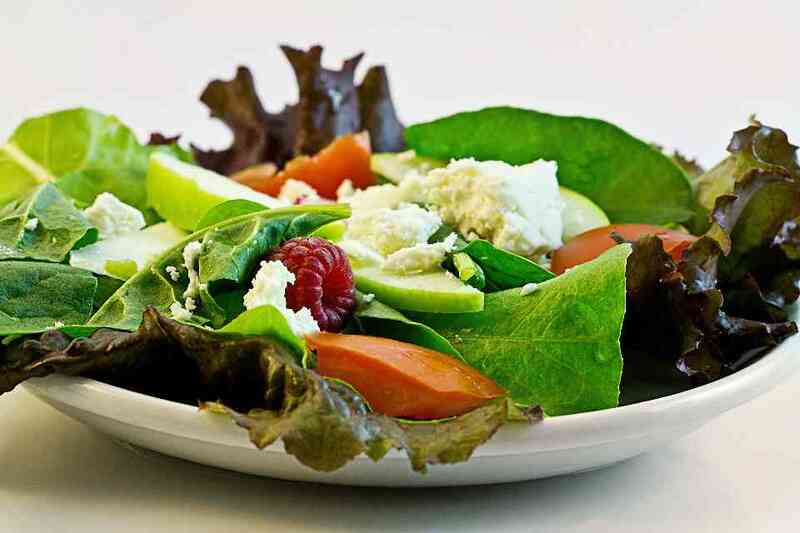 Eating a healthy diet is not just about what you eat but also about how you eat. People who practice good eating habits take their time when eating a meal. Healthy eaters pay attention to what they eat; they are not distracted by watching TV, working, or playing a game. They are mindful of the fact that they are eating, taking in nourishment for their bodies. By doing this, they avoid overeating and ultimately putting on weight. There is about a 20-minute lag time between the time you fill your stomach, and your brain sends out signals that the body has had enough food. So by eating slowly and mindfully, you can avoid the trap of overeating, getting indigestion, and gain weight. Most experts agree it’s healthier to eat small snacks throughout the day instead of consuming one or two big meals. Our energy level throughout the day is affected by the highs and lows of our blood sugar. By incorporating healthy snacks into your diet, you avoid drastic shifts in blood sugar. Just eating a healthy snack or two between meals will lead to a more steady level of energy throughout the day. Here’s another tip… healthy eaters don’t eat large evening meals. It’s far better to have your big meal at lunch, rather than eating a large meal at 8 or even 9 PM, too close to bedtime. When you have a big meal earlier in the day, you give your body a chance to digest and metabolize properly. Additionally, big meals too close to bedtime can lead to insomnia and weight gain. While you don’t have to skip dessert altogether, you may want to eat it sparingly. Topping off a good meal with a tasty dessert sounds like the right thing to do, I know. However, in most cases, it just adds empty calories to your diet. So why not reserve dessert to be an occasional treat for special occasions? Regular meals should be meals by themselves rather than be a part of a whole dinner and dessert package. Similarly, those who follow a healthy diet rarely go to fast food restaurants or consume high-calorie nutrient-poor junk food, like potato chips, donuts, candy, and soda. You knew it was coming, right? There is no such thing as healthy eating if you don’t include fruits and vegetables in your diet. And, you may want to consider eating more vegetables and fruit than you eat meat. Ideally, meals should contain more fruits, vegetables and whole grains than they do meat products. This means using meat more sparingly as part of a larger vegetable dish rather than grilling up a big slab of meat as the focus of the meal. People who eat a healthy diet recognize the value of including fruits and vegetables in their diet. Make it a point to eat a variety of foods, especially go for the orange, green, yellow, and blue fruits and vegetables. Vegetables and fruits offer unique health benefits. Including foods from each color of the rainbow offers unique health benefits, that can’t be replaced by a basic multivitamin. By following these simple strategies, you’ll quickly install the habit of eating healthier. Pay attention to what you eat and how much you eat. Add to it intention and mindfulness and experience greater health and well being.